Below is a calculation tool to help determining the actual field intensity or power density (in V/M) at a given distance with a known antenna gain. The calculation of field intensity levels required by certain immunity standards. Calculating the required power amplifier and antenna combinations for new testing requirements. For safety (radiation hazard) or electromagnetic interference (EMI) effects. This calculation tool to help determining the required power to produce a desired field intensity using antenna gain and separation distance. The "Selecting antenna/power amplifier combinations for the coming new RF immunity standards" article explains different power amplifier / antenna matching combinations for some new RF immunity standards. 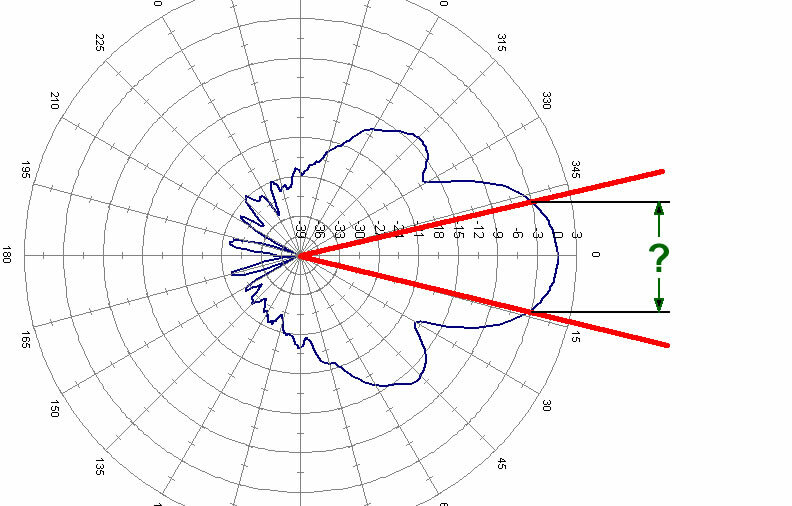 Our Antenna Beamwidth Coverage Calculations is a unique tool to assit in calculating the maximum coverage based on antenna half-power beamwidth. 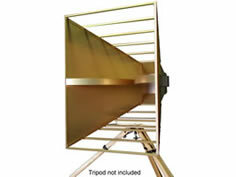 High gain, low VSWR,	input handling capability up to 800 watts CW, and rugged design make this horn antenna excellent for both immunity and emissions testing.